Black and white is always a great combo and the perfect foil to everything – like this playful petal mustard color shorts that I’ve thrifted for only Php50 or just about a dollar! The tuxedo blazer that I got at a 60% discount levels the t-shirt combo and wards off the chill of the arctic climate at the grocery, while ballet flats are the easiest footwear to slip on to polish the look. A lazy comfy outfit to run errands accessorized by the ubiquitous stacked bracelets and aviators. 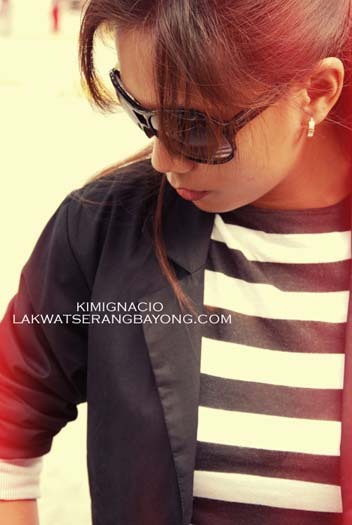 WHAT I WORE: Tuxedo blazer from Human, Striped tee from Greenhills tyangge, thrifted shorts, Prada bag, DKNY aviators.